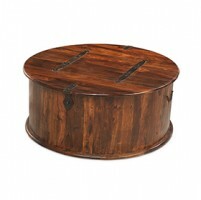 Who says a coffee table has to stay in the living room? 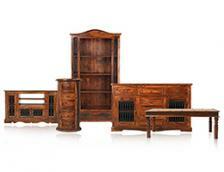 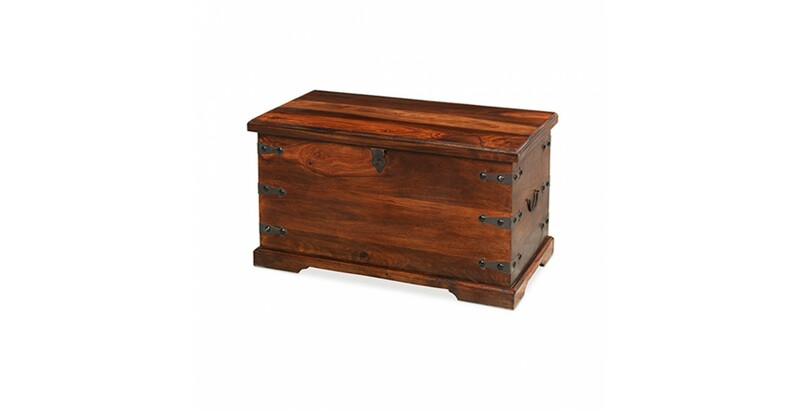 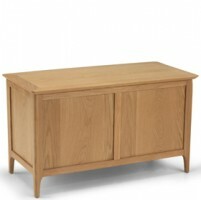 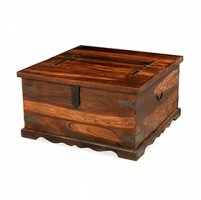 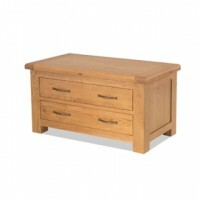 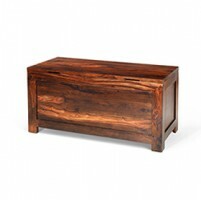 We can see this versatile trunk providing beautiful and practical storage space all over your home. 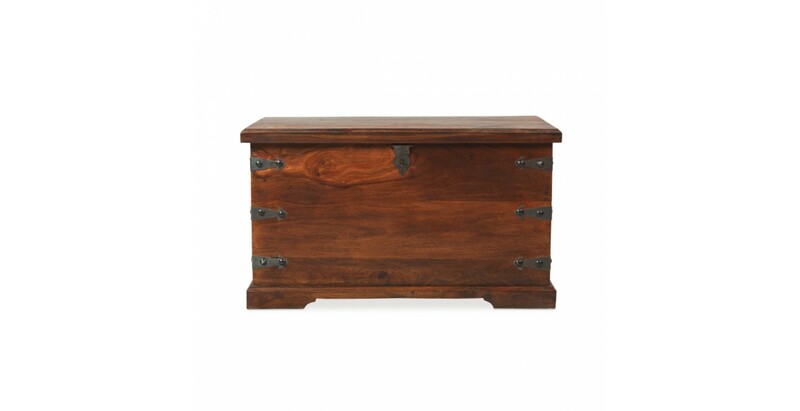 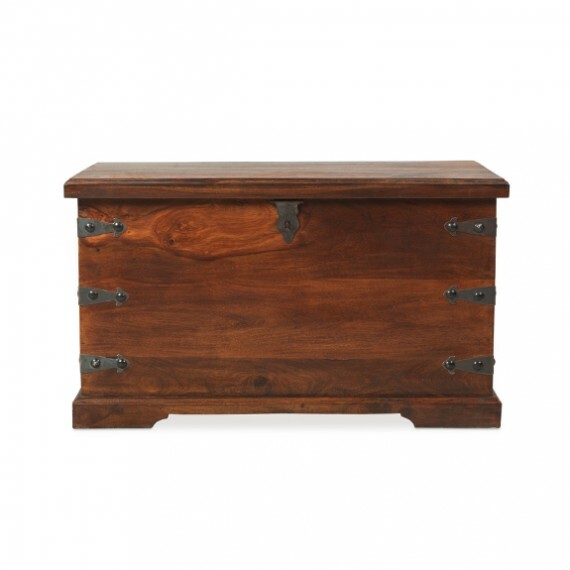 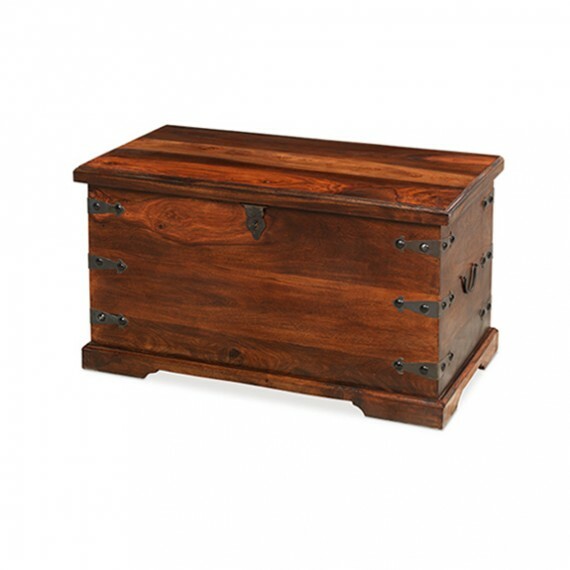 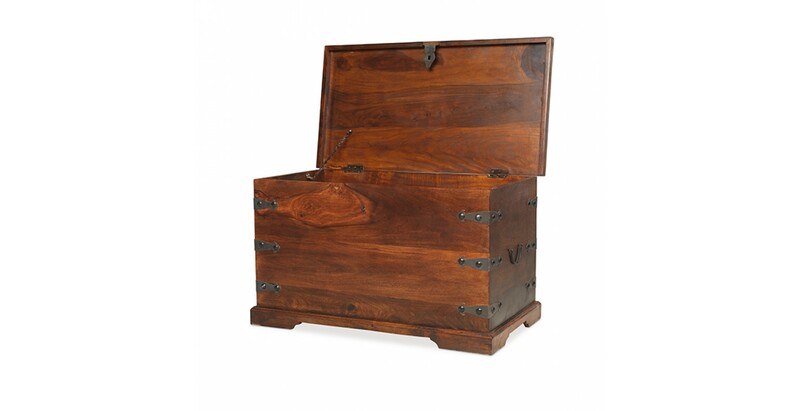 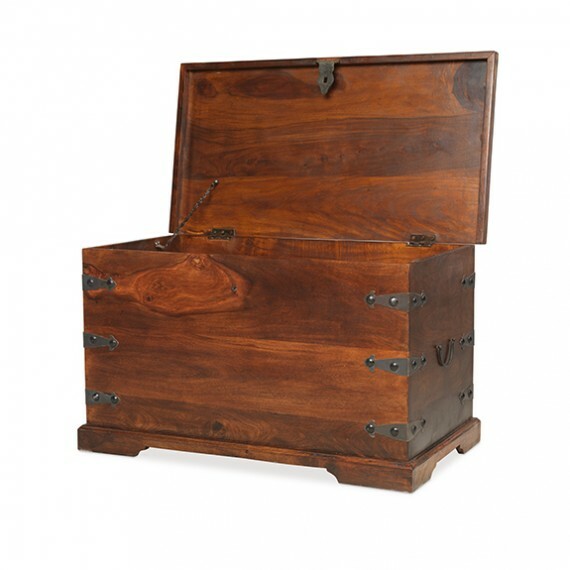 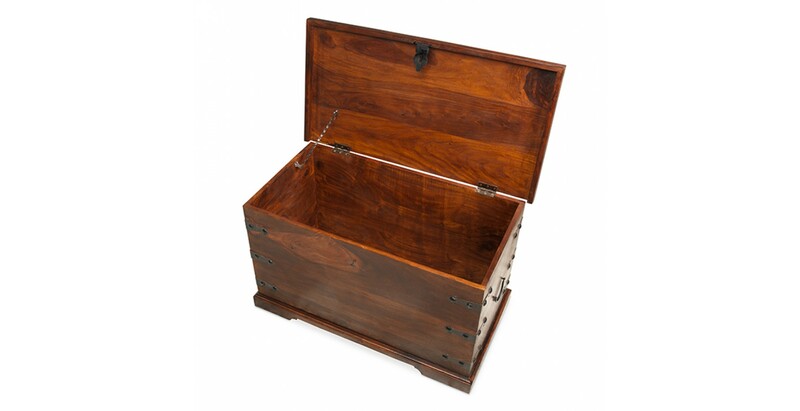 Inspired by the time of the Maharajas, it's been crafted by hand from sheesham wood, given a Wax Lacquer Finish and is rich with traditional detail such as wrought iron metal work on the corners, metal drop handles and an attractive carved plinth. 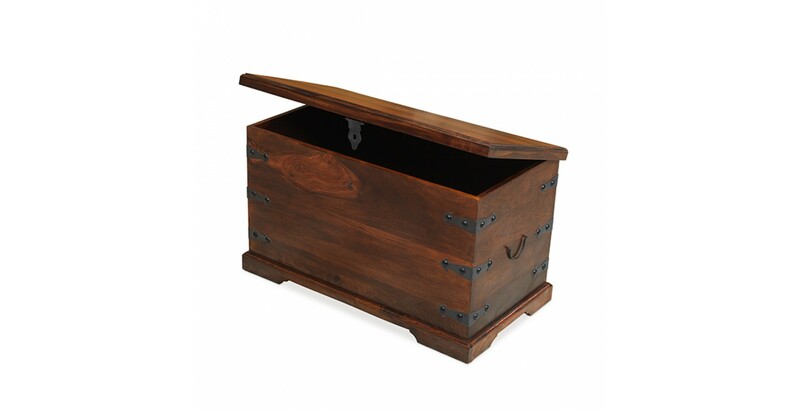 Open the lid and you'll find a roomy space where you could keep spare cushions, toys, books and games, and if it does do its duty in your living room, the top will be ideal for putting down your evening tipple.